You’ve seen the articles about employee engagement in Forbes and Business Insider. There are dozens, more published every day. It’s a hot topic and it isn’t cooling down. Over the last few years, we’ve seen more curiosity about it, more awareness of it, and more misconceptions about it too. We know this because our original post on Why is Employee Engagement So Important has had a greater number of page views than any other post – and we only scratched the surface! 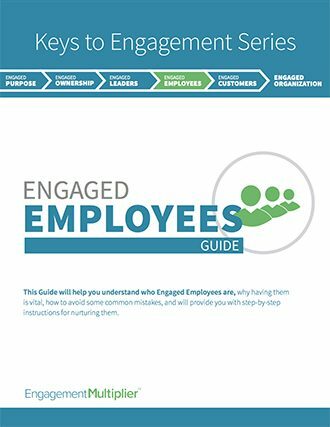 Our first post covered the basics, like “What is employee engagement?”, engagement’s purpose, and how to start paving the way for higher engagement in your organization. 1. Employees only care about good pay and good perks. You may think a small raise and a foosball table will solve your engagement problems – but that’s not what the research says. Numerous studies show that today’s employees care deeply about feeling their work has purpose. 2. Employee engagement is the manager’s job. Managers might be on the front lines, but engagement begins at the top with a brave, caring, identifiable leader. A leader who has a clear vision of the company’s higher purpose that everyone can get behind. 3. Millennials are difficult to engage. Millennials are job hoppers – the numbers prove it. But does that mean they’re difficult to engage, or that they’re searching for engagement? Numbers also prove the latter – they’re job hopping so they can find opportunities to improve, do meaningful work, find better work-life balance, and work in more positive work environments. Those are all the outcomes of an engaged organization. 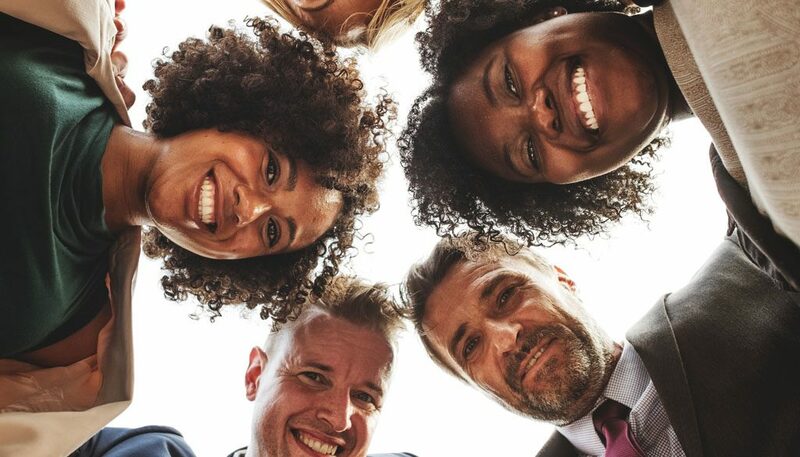 Employee engagement is really about emotion – the emotional commitment employees have to their work, their organizations, and how their work connects to a higher purpose. 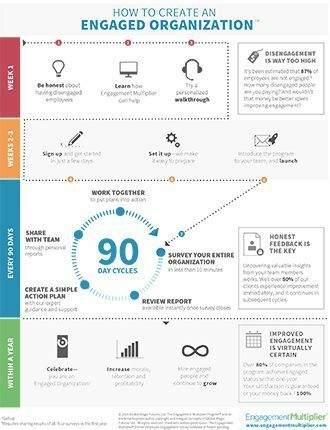 It encompasses passion and enthusiasm, but more importantly, it’s the positive emotional feedback loop of working together to achieve a big, important, positive common goal. We call this goal an “Engaged Purpose” – and it’s so critical to employee engagement that we require every client to define one and share it with their employees. 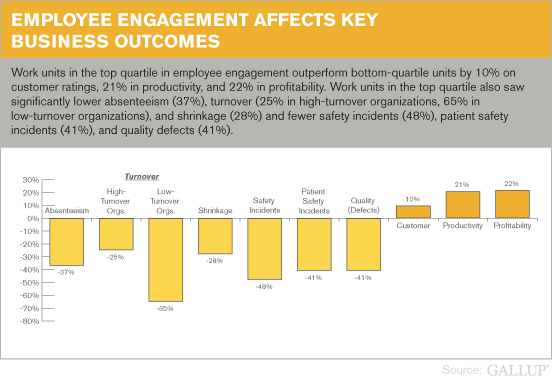 What employee engagement means in practice is even more exciting. Engaged employees believe in what they’re doing and who they work for, so they always act in ways that advance their organizations’ interests. What effect does that have? They found that the companies that scored highest in employee engagement had four times the success rate of companies that scored lowest. Every generation of workers wants meaningful work, and the generation taking over the workforce now (Millennials) are no different. But there is a difference between Millennials and previous generations in their willingness to quit jobs that don’t deliver a meaningful experience. Millennials are twice as likely to quit a job as previous generations, and a 2018 survey from Deloitte found that 43% of Millennials plan to quit their jobs within 2 years. What are they searching for? Opportunities to learn grow, and companies that offer a positive workplace culture – in other words, engaged organizations. To be a competitive employer for the best talent, high employee engagement is becoming a must-have. But engagement only works as a two-way street. You can’t ask employees to be engaged – to care about your business – if you don’t actively work to support their values and priorities. You may have seen the business articles about Amazon testing a 30-hour workweek, Airbnb giving employees a $2000/year travel stipend, and Netflix offering a full year of parental leave to salaried and hourly employees. They’re the frontrunners of a trend that’s reshaping and elevating employee expectations. Employee engagement begins with showing you care about your employees (only then will the reciprocate by investing themselves in your vision). Here are the areas that have the highest impact, according to Glassdoor, Deloitte, and Gallup polls. Gallup reported that 87 percent of millennials said opportunities for professional development is very important in a job. A Deloitte study supports this, finding that when millennials are satisfied with career development programs, their retention rates rise. Maybe that means you invest in education and programs for your employees, or maybe you institute a mentorship system. The important question to ask is: How can you support your employees’ goals and growth? A 2016 Deloitte survey on Millennial employees reported that work-life balance was the most important factor, other than salary, in the decision to take a new job (or leave a current job). Helping your employees achieve work-life balance isn’t just about establishing flex-time or work-from-home days – it’s about creating a culture in which leadership visibly supports employees’ hobbies, interests and family time. Good health insurance was ranked as the most important benefit in recent research from Glassdoor. Yes, it’s expensive, but the investment pays back dividends in employee loyalty, retention, and fewer sick days. But caring about health and wellness goes beyond investing in a high quality insurance plan. You can also make it clear that you support employees taking “mental health days” as well as sick days, and encourage more physical activity by taking walking lunches (or even walking meetings). Making physical well-being part of your company culture can have a big impact on the energy employees can bring to the table.